Official interest rates could go lower if needed. This means refi rate could go lower but also deposits facilities rate which in that case would become negative. This possibility has not change the way Mario Draghi answered questions. He just said that everything was ready to manage this possibility. Negative interest rate on deposits facilities is something that has been accepted at the ECB. June surveys in the manufacturing sector have brought a more heterogeneous dynamic than in the previous months. Asia is becoming weaker; Europe stronger and the USA try to find their way. This heterogeneity is not bad news as this will create distinct expectation trends all over the world. This will contrast with the uniformity we’ve seen until recently. 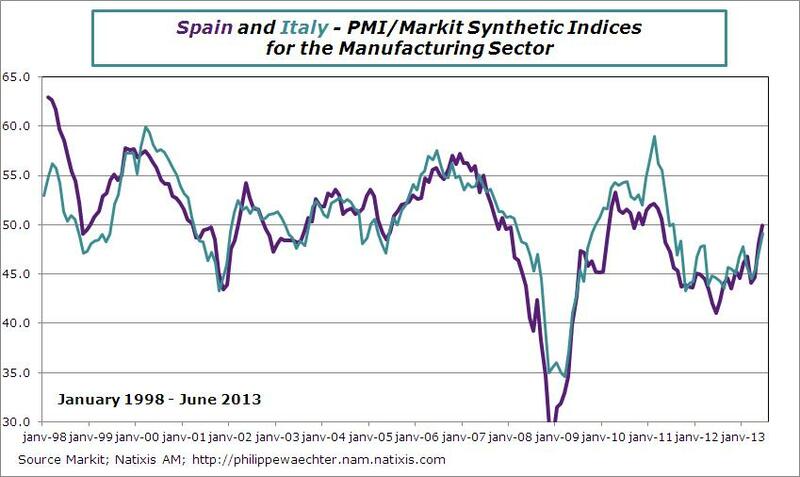 In Spain the synthetic index for the PMI/Markit survey shows stabilization in the manufacturing sector. In Italy the trend is upward but does not converge yet to stabilization (49.1 for the index). This can be seen on Chart 1. 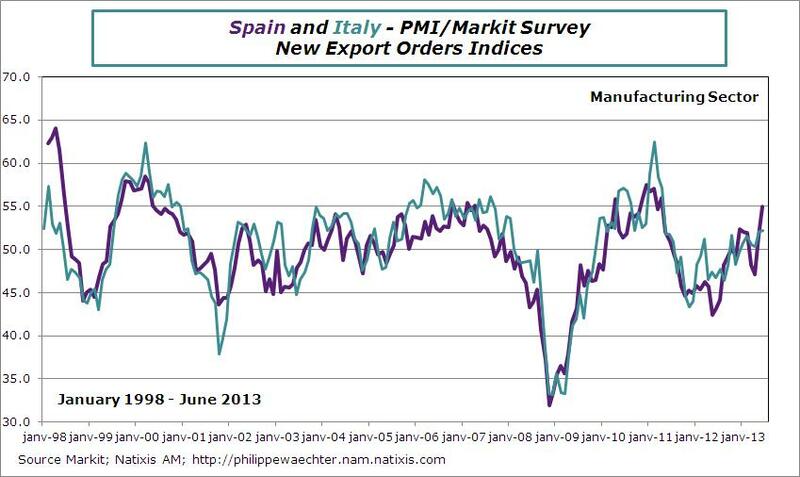 In Italy the main catalyst was production and if the New Export Orders remains above 50 (52.2) there is no spike comparable to Spain’s.